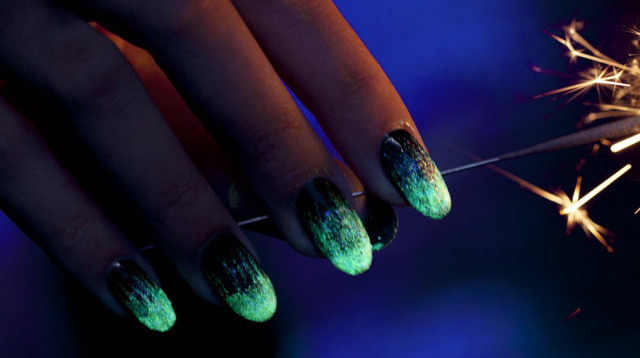 The truth: This tip suggests breaking open a glow stick and mixing it with a clear topcoat to make your own glow-in-the-dark nail polish. Sounds easy (and pretty awesome) but in reality, glow sticks were not created to be opened and the chemicals are not meant to come in contact with your skin. The glow stick chemicals can cause a mild irritation, such as dermatitis, or a more severe chemical burn. The truth: Milk of magnesia is a laxative and antacid that treats constipation and heartburn. It's long been rumored to work as a makeup primer and a skin mattifier due to its chalky texture. Although this tactic might work for some, it's more likely to cause bad breakouts. Here's why: Milk of magnesia has a pH level of 10 or 10.5, whereas the normal pH of the outer layer of skin is 4.2–4.6, meaning milk of magnesia is basic and your skin is more acidic. If you neutralize the acidity of your skin, you'll create a growth environment for the bacteria, which can't grow at an acidic level, and cause breakouts. The truth: Just because hairspray holds your hairstyle in place doesn't mean it's going to keep your makeup intact all day. Even if you could bear the fumes you'd be spraying directly at your nostrils, the large molecules in the hairspray—which is made for your hair, not your face —can easily block your pores and cause bad blemishes. The spray also contains repellents that can cause red, bumpy irritation on your skin. 4. The tip: Use permanent marker as a quick fix if you're out of liquid eyeliner. The truth: Just because Taylor Swift has done this doesn't mean it's a safe beauty hack. There really isn't a situation where permanent marker is better than no makeup at all, especially when it comes to lining your eye. Your eyes, and the skin around them, are super sensitive and even the faintest fumes from a permanent marker can make them red and irritated. 5. The tip: Coat your lashes with petroleum jelly to make them appear thicker and longer. The truth: While petroleum jelly might be a good product to use on dry patches or lips, you should really keep the stuff away from your eyes because it can clog pores and cause pimple-like eruptions along your lashline. 6. The tip: Apply deodorant over your T-zone to mattify oily areas. The truth: An antiperspirant is designed to stop sweat and water—not oil. So, if you're hoping to prevent your face from getting oily, deodorant isn't a logical remedy. Also, many antiperspirants contain chemicals that aren't meant for your sensitive facial skin and can be really irritating. 7. The tip: Roll deodorant along your bikini line to prevent bumps after shaving. The truth: After shaving your bikini area, the skin tends to be a little dry and irritated, and adding deodorant, which dries out your skin, will only exacerbate the problem. Deodorant contains very few moisturizing components, so if your skin is tender from shaving, use an oil-free lotion that won't further clog your pores or a gel lotion designed to soothe skin and prevent razor burn. 8. The tip: To clear blackheads, rub half a lemon and a few drops of honey on your nose and chin, let it sit, then wash it off. 9. The tip: Shrink a pimple by dabbing mouthwash on it.